Thank you! Yes, visit Prague is always amazing! I can't wait to meet so many talented players and a lot of cool friends! Yes, I'll compete, and I can't decide yet between Scout or Orca. 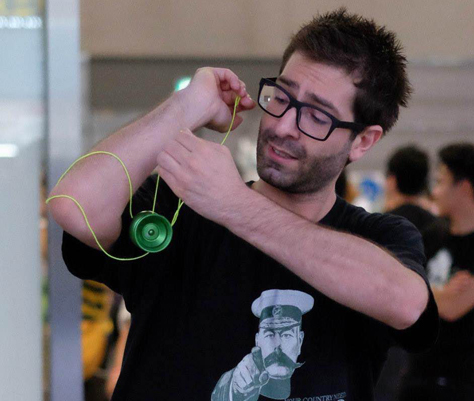 Almost everyone who throw a yoyo, I like to watch every video I bump into. Czech is by far the hardest national contest to predict, average skill level is mind blowing! I hope to see good placement from Matyas Racek, David Kreibich, David Stejskal, Tony Sec, Ondra Dolejs...So many good players! Your instagram videos are a blast to watch. How do you come up with so many unique elements? What is your favourite freestyle of all time?